I love cabin camping especially when it’s in the woods. As a child, a cabin in the woods was my first experience with wilderness camping. My family is lucky to have access to a 90-year-old cabin in the woods in Norway. It looks like the rustic cabins you would see in camping magazines. It is an “off the grid” cabin with no power or indoor plumbing, and there are no neighbors living close by. I think of a cabin kind of as a step up from tent camping but not quite the same as a cottage. I was happy to find out that in North America we are lucky to have many options for cabin rentals, from backcountry cabins to cabins at resorts. Is Cabin Camping Different from Glamping? Before you start to plan your cabin camping trip, you should decide what kind of cabin camping you are interested in experiencing. Are you going to be off the grid or do you want your cabin to be fully equipped with a flush toilet and electricity? If you decide to go camping in the backcountry you may not have many options with your cabin. A backcountry cabin will almost always be off the grid. Many people think glamping is the same as cabin camping. In my opinion this is not quite true; just because you are in a structure and sleeping in a bed doesn’t mean you are glamping. Glamping is luxury camping where you don’t have to deal with any of the trivial stuff. You don’t have to bring linens, the bed is perfect, and you have a spa feeling in the bathroom. You usually have somebody cooking for you, or at least have a restaurant close by. When it comes to cabin camping you never know how your bed is going to feel like or if you are lucky enough to have access to a flush toilet. You still have to plan to cook your food and clean your dishes; nobody is going to do this for you. In some ways cabin camping is the same as tent camping, but with camping cabins you have a building with four walls instead of a tent. In the U.S you can find cabin rentals at National Parks, State Parks and The US Forestry Service. The park system’s cabins range from fully equipped cabins to cabins with shared bathrooms. Some of the cabins are accessible by car, but they may also offer backcountry cabins where you have to hike to them. When you are looking for camping cabins you should make sure they are in a campground or a resort that is close to the activities you would like do. If fishing and swimming are an activity you enjoy, make sure you are close to a lake. Rent a cabin close to hiking trails if hiking is something you would like to do on your vacation. When you are looking into booking camping cabins make sure you check out the cabin reviews for maintenance and cleanness. Even if the cabin is off the grid it should always be kept clean. Make sure you are checking out how close the cabin is to the amenities you want. Most importantly bathroom and kitchen/ cooking facilities. Be sure to find out if you have a fire pit close by, and who is responsible for providing wood for the fire. If the cabin has a kitchen find out how equipped it is; what pots, pans, and utensils are available. If the cabin has electricity does it have a fridge, microwave, and stove? Will the rental include a grill? A grill can be a lifesaver when it comes to cooking, and encourages you to be outside more. Many camping cabin resorts will also offer linens that are included in the rental. Be sure to clarify this! You don’t want to arrive with no bedding and towels if you need them! Also check if cleaning supplies like dish soap, broom, and other cleaning utensils are provided. Before you leave make sure you gather all the gear you need for your trip. Some important camping tips are that you should prepare your meals before you leave. Have meals ready to cook for the BBQ, and prepare the meals you will cook on the stove. Follow the weather report closely before your vacation to make sure you are packing the clothing you will need, but also so you can plan different kinds of activities that are appropriate for the weather. Essential camping tips once you are on site are to make sure you keep your outdoor place tidy and clean, and that all garbage is picked up and stored away so it doesn’t attract wildlife. Personal hygiene is also import when it comes to food prep. Make sure you are keeping the food cold and that you are washing utensils after each use. Keep wet wipes handy if you don’t have running water, this makes it easier to keep everyone’s hands clean. If you are going to be hiking to the backcountry cabin you need to pay attention to the amount of luggage you will be carrying, and that you can fit all of your camping gear in to your backpack. (If your cabin is accessible by car you won’t have that worry.) One of the most important cabin camping tips is to make sure everything is organized for easy access during your vacation. I like to use plastic bins for organizing and a cooler with ice for fresh food. Sort your clothing and personal toiletries in suit cases or backpacks. Though you don’t think you will need them, pack a tarp and a rope. You can use a tarp for shelter from the sun and rain so you can eat outside and be protected to grill and enjoy the outside. The rope is good to hang wet clothing and towels to dry. Wet wipes and extra plastic bags are useful for garbage and dirty laundry. 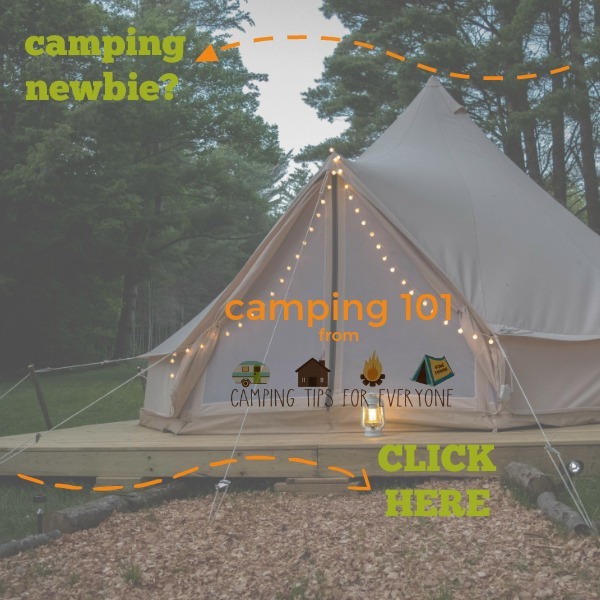 This list includes everything I recommend for rustic camping. Some cabin camping experiences may not need all of these items. Kari Svenneby is a freelance actor & travel writer living in Toronto, Ontario. A Norwegian import to Canada and she loves exploring the world and the outdoors with her family and is founder of Activekidsclub.com. Follow Active Kids Club on Instagram, Twitter, and Facebook. Okay. Want that horn that the young lady is blowing. Where can I get something like that? Eric, I believe the horn has been in our family for 90 years, so I don’t quite know where you can get a similar one. Your best bet will be to come and see us 😉.